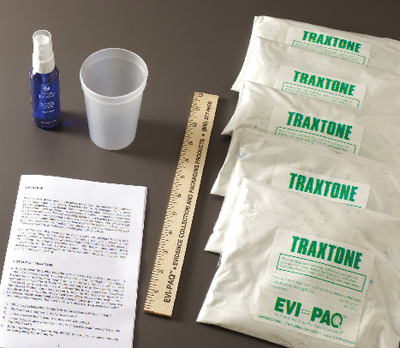 The kit comes with five 1-gallon plastic resealable bags with 1 lb. of casting material in each, one measuring cup, one small bottle of hardening solution, a 12" ruler, and instructions. Available to U.S. customers only, similar product will ship elsewhere.